There was a fierce, well-controlled energy about Eric Lund, and I couldn’t help wondering what he’d be like if he became angry. I suspected that he didn’t give in to anger lightly, though. He was holding me close and his hand was firm on the small of my back. I was very concious of the feel of his left hand, holding my right in a secure grip. I looked up, into his eyes. For a moment we just stared at each other, watching each other’s faces as our bodies moved together in time to the music. When Australian Women’s Army sergeant Stella Aldridge meets Eric Lund, he reminds her of her dead husband, in disturbing ways, and yet she cant’ stop thinking about him, even after he is sent off a mission soon after they meet. Her mind should be elsewhere. She has overhead a threat to kill someone, a threat which links Eric and her new boss, the very attractive Lieutenant Nick Ross. While Eric is away, Stella must work with Nick to try to uncover a traitor who is putting surveillance missions, and lives, at risk. 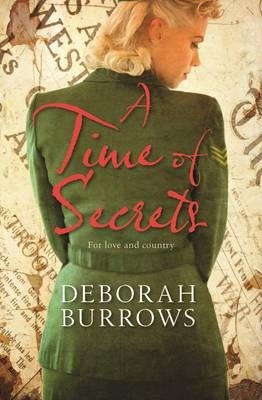 A Time of Secrets, set in Melbourne during World War II, is an absorbing blend of romance, action and mystery.Readers are given an inside look at part of Australian war history they may not know about, with the fictional characters and relationships set amongst the real events of the time. Stella, previously an artist, and a war widow, has enlisted in the Women’s Army and her flair with languages has seen her deployed to Melbourne to work in Intelligence. Her determination not be hurt does not stop her from taking risks or from looking after herself and those around her. Readers will enjoy watching her development, as well as seeing that of the men in her life.